Vice Provost Cynthia Rawitch announced that she will be retiring at the end of this academic year. She has worked at CSUN for 40 years with career milestones ranging from serving as journalism department chair and working her way up to vice provost. The decision to retire was due in large part to be able to spend more time with her husband, Journalism Professor Robert Rawitch, and family, Rawitch said. Rawitch began working at CSUN in 1973 after serving as a reporter for the Associated Press and was later offered a teaching position. At the time, she thought her teaching career would be a flash in the pan. 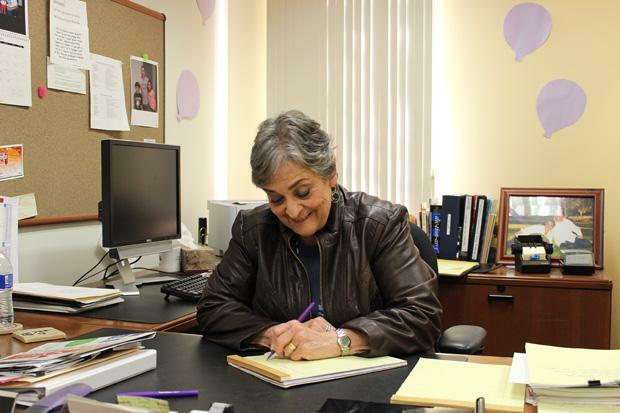 She worked for 29 years in the journalism department, including a 10-year period in which she served as advisor and publisher of the Daily Sundial. Her time as publisher was busy and marked with a lawsuit regarding free speech. Former student James Taranto, now editor of OpinionJournal.com and a member of The Wall Street Journal editorial board, sued for being suspended after he printed a cartoon on the paper’s opinion page. The suit was settled out of court, with Taranto receiving $93 kept from him during his suspension as editor-in-chief of the paper. After her time at the Sundial, Rawitch kept moving up at CSUN. She served as the journalism department chair before moving on to such positions as associate dean of the College of Arts, Media, and Communication, associate vice president of undergraduate studies, and her position as vice provost since April 2011. She worked on projects such as the CSU Graduation Initiative, working with other faculty members to improve six-year graduation and transfer graduation rates, as well as a successful reaccreditation project with the Western Association of Schools and Colleges. Faculty who have worked with Rawitch on campus projects said her leadership was a key to success. “Without Cynthia and her willingness to grab hold and do something, I’d be spinning my wheels,” said Bettina Huber, director of institutional research. “Two generations of CSUN (students and faculty) have benefited from her no-nonsense and creative approaches to a very wide range of educational policies and practices,” said Maureen Rubin, special assistant to the dean of Mike Curb College of Arts, Media, and Communication. Her co-workers are who she is going to miss the most as she heads into retirement, Rawitch said. Rawitch’s separation from her co-workers won’t be immediate. 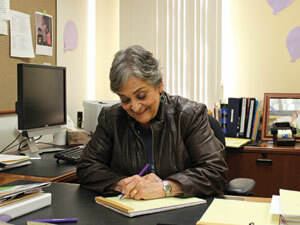 She will transition into retirement through the Faculty Early Retirement Program (FERP). This allows a faculty member to work a maximum of half of the time he or she worked in the year preceding retirement and receive full retirement income.